Rhyous » Blog Archive » Hello Paypal Here. Goodbye Square Up. Hello Paypal Here. Goodbye Square Up. I love my new Surface Pro 3. When I go to a conference, I want my Surface Pro 3 to be used as the Cash Registers. Alas, Square Up doesn’t support the Surface Pro 3. But guess what? Paypal Here, a direct competitor to Square Up does support the Surface Pro 3. 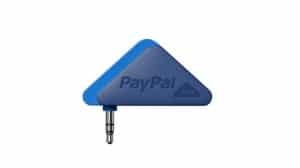 My Paypal Here card reader is on its way. I accepted, begrudgingly, the fact that you didn’t work with my Windows 7 laptop when I first got Square Up. But that was more than two years ago. There are 300 million windows devices out there. Why would you ignore that market share? Thank you Squareup.com for being a good card reader. I enjoyed your server. I liked it. However, you haven’t kept up with the industry. The Surface Pro 3, as well as other similar 3rd party hybrid tablet/laptops, is turning iPads and Android tablets into paperweights. You’ll be fine without me. Hopefully you update your software soon before you lose more accounts than mine. Once I am up and working with PayPal Here, I doubt I will make the effort to come back. So I tell you goodbye Square. And hello PayPal Here! Get PayPal Here from the Windows Store. Note: This isn’t an ad. I wasn’t paid to make this post. I am however, frustrated with Square Up for not providing an App for my Surface Pro 3.